The growth of the start-up culture and the high-tech sector has sparked a boom on the Polish market of co-working space, as revealed by real estate advisory firm Savills in its latest report Flexible Workplaces in Poland. Flexible workplaces include serviced offices and co-working spaces, and the two tend to be confused as both can be rented short-term. Serviced offices provide fully furnished and equipped office space, frequently with a cellular layout and administrative and maintenance support. Co-working space is focused on creating an atmosphere that fosters cooperation between users. In addition to office space, co-working providers frequently offer various business accelerators to support young entrepreneurs in their expansion. While serviced offices have been provided in Poland for nearly two decades, the last two years saw the largest increase in the number of new co-working providers entering the Polish market. Business Link, opened in Warsaw’s Zebra Tower in 2011, was the first large co-working centre in Poland. Instrumental in its development had been Academic Business Incubators, set up in 2004. In the mid-1990s, Regus opened its first serviced office at the Sheraton Hotel in Warsaw. At present, the largest developers operating on the Polish market cooperate with flexible workplace providers. In addition to Business Link, partnered by Skanska, Echo Investment has also entered this market with CitySpace, while Ghelamco is planning to develop co-working space in its new project The Warsaw Hub. “It is getting harder to tell the difference between co-working space and serviced offices. Both solutions have more and more features in common and the sector of flexible workplaces is developing at a very rapid pace. What’s more, even traditional offices increasingly resemble co-working spaces with chill-out zones and activity based workplace solutions. The high-tech growth is transforming the way in which both start-ups and large corporations operate. 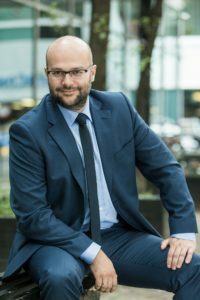 Flexible workplaces have emerged in response to new market needs,” said Jarosław Pilch, Head of Office Tenant Representation at Savills. According to Savills, Warsaw is Poland’s largest market with nearly 84,000 sqm of flexible office space available in 95 locations. Of that total, serviced offices and co-working space account for 44,000 sqm and 40,000 sqm, respectively. With almost 15,000 sqm of flexible office space across 25 locations, Krakow is the second biggest market, followed by Poznań, whose total stock amounts to more than 8,200 sqm in 18 locations. According to Savills, key flexible office providers offering at least 3,000 sqm in total in at least two locations include Brain Embassy, Business Link, CitySpace, Dago, InOffice, Office Hub, OmniOffice and Regus, whose share in total office take-up rose from 0.4% in 2010 to 1.9% in 2016. Poland’s largest co-working centre is Business Link (5,000 sqm) at the PGE National Stadium in Warsaw, while the biggest serviced office is InOffice at Warsaw’s Lumen building (2,700 sqm). “Most flexible space is located in modern office buildings, but some is also available in lower-grade office buildings or schemes with an ancillary office function. Co-working spaces are also located in shopping centres, including Aleja Bielany, Galeria Bronowice, Galeria Katowicka, Sukcesja and Tarasy Zamkowe. Some cafés and banks are also adapting some space for client use. Other examples include small co-working office units created in private apartments,” said Wioleta Wojtczak, Associate, Head of Research, Savills. Savills has conducted in cooperation with mamstartup.pl, Poland’s leading start-up website, a survey of the website’s users. Only 7% of the respondents indicated co-working space as their most frequent workplace while leased offices and houses or apartments jointly topped the league table. 60% of the respondents said that they had never used co-working space and less than 20% used it at least once a month. The survey respondents also stated that they most often worked in teams of two or three, but 42% expected their teams to grow by up to five people within the next two or three years. Business meetings are usually held at cafés and restaurants (nearly 40% of the respondents said so) and lack of privacy is a major drawback of co-working space according to 65% of those who took part in the survey. The flexible workplace market is driven largely by inflexible lease terms and conditions offered by providers of traditional offices. Office requirements reported by start-ups are likely to change within a short time span due to the way in which these businesses operate. Large corporations are also increasingly interested in being able to post project teams to other cities and to respond swiftly to changing staff requirements. Flexible offices can be quickly adapted to a tenant’s needs without the tenant having to make long-term lease commitments. “Our survey shows that serviced offices and co-working spaces are not always a place for small newly-created start-ups. Such space is frequently taken up by large corporations for individual projects or by scale-ups which are already in the ‘growth phase’. This may be at odds with the stereotypical perception of such places as oases for start-ups, but as a business model flexible workplaces are likely to become an office market segment in its own right. It remains to be seen how much space the Polish market will be able to absorb. Following the recent debuts of many providers of such office space, other providers will be considering potential locations with a degree of caution. The market, however, is heading in this direction and it looks like the current co-working boom is far from over, particularly on regional markets. Poland has a big potential and is an attractive destination for high-tech businesses. 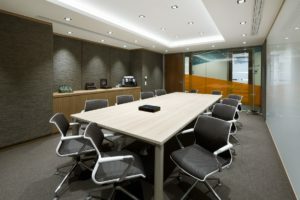 Besides, large international providers such as WeWork, The Office Group and i2 Office have not entered the Polish market yet,” said Jarosław Pilch, Head of Office Tenant Representation at Savills.